We have completed 4 days of clearance of the Tarradale abandoned settlement over the last month removing dead bracken and whins from the buildings. 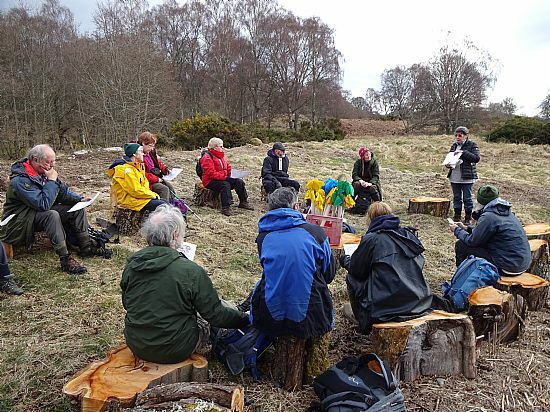 On the 7th April we began the planning. When we started the 1788 map was the only real evidence that the settlement existed. The initial walkover revealed the usual lumps and bumps below the surface. But, even at that early stage there were exciting discoveries, including a completely unexpected building which was not on the map. As we burrowed through the whins there were more surprising finds: banks and enclosures, the remains of rig and furrow cultivation. What began as an almost obscured site suddenly became very interesting. We found the buildings on the map with named tenants…..Duncan MacIver and John Ferguson for example. In addition to the building not shown on the map John spied a bank in a large patch of whins and went in cutting a swathe through the undergrowth and discovered a second building not depicted on the map. Then on Thursday we went for a final tidy up before the planning began and while clearing whins to make the ‘new’ building more visible hey presto, yet another building emerged from the vegetation. Alongside the physical work there has been a great deal of documentary research. I certainly have learnt a lot about rig and furrow cultivation and the changes to agriculture in the late 18th century, the development of the enclosure movement and the intriguing ‘mailers’, a group of poor tenants who gave labour instead of rent to the landowners. There is a huge amount to say now about this unassuming and fading settlement which we will record over the next week before it disappears again into the undergrowth. The very best way to learn all about our findings is to come to the Open Day on Saturday 14th April. 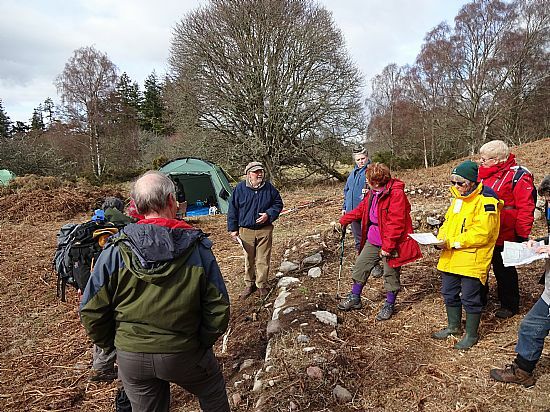 There will be two guided walks round the site at 10.30 and 2.00, starting from the first gate on the left on the road to Tarradale after turning off the main road. There will be signs on the roadside and people to direct you. 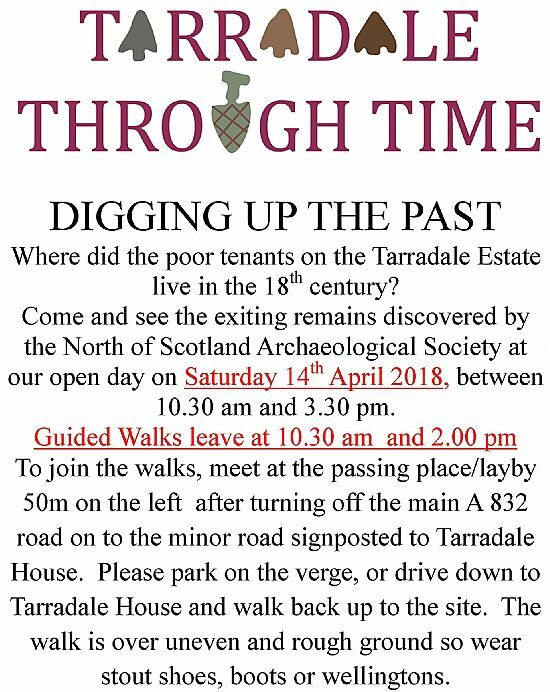 Please come and discover if not your ancestors possibly your ancestors' homes.